Two years ago, Instagram started to surpass Snapchat in number of users. What did Snapchat have that Instagram didn’t? Live stories, and direct messages. Now the largest demographic of Instagram users is using Instagram instead of Snapchat for direct messages, and private, one-on-one conversations. Direct Messages on Instagram are great for individual users, and great for businesses. But how do you use Instagram messages? And what strategy can you implement today to increase your followers and your engagement? Read on to learn more! Where Are My Instagram Messages? If you’re unfamiliar with where your Instagram messages are, let’s first establish where to find them and how to use them. You can access your Instagram messages (DM’s) by toggling over to the home feed, and clicking on the paper airplane in the right hand corner. In this screen, you’ll be able to see your recent DM’s and because of a recent Instagram update, you’ll be able to see if your recent friends have been active. (A useful, but sometimes invasive tool). 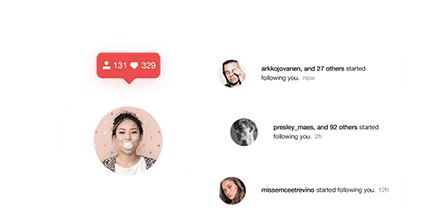 You can send a message to one of your recent followers, or you can send a new message by clicking the small + in the corner and searching for a friend to send a new message to. Keep in mind that you can send a DM to up to 15 people, meaning you could send to a cluster of followers with similar interests or trends. 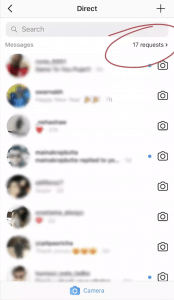 You can send Direct Messages in your messages screen, or by replying to an Instagram Story. To do this, simply type your message in the “send message” box at the bottom of the Instagram story. If the send message box is unavailable, the user may have turned off this feature. We’ve talked about the importance of reposting and resharing on Instagram before, so we won’t dive too deep into that here, but it is important to understand how to send a post in a DM. This tool will help you share with friends and communicate with followers. Sending a GIF via Instagram is another way to showcase your brands personality. To send a GIF in an Instagram message, click on the “GIF” square next to the message box you would type in to send a regular message. From here, you can search for GIF’s by a word like “stop” or “you go girl!” and find a fun, new way to communicate. What Happens To Messages From People You Don’t Follow? To DM someone who you don’t already follow, you have to get your message “accepted” by them. If you run an Instagram Business Profile, you’ll want to check in on your Instagram “requests” frequently. Your Instagram requests live in the same place as your other messages, and you’ll see a “requests” button on the right hand side. Right now, you can’t send Instagram messages from a desktop without the help of a third party app. Eventually, we hope, scheduling tools and desktop tools, will let you respond to DM’s, and the Instagram for the desktop app will send messages as well. Until then, we’ll all just have to be glued to our phones to respond to Instagram messages. Now that you understand how to use Instagram Messages, let’s discuss some strategies you can add to your social media plan today. The first and most obvious way to use Instagram Messages is by building and creating relationships with current fans. Social Media is a community, and like any community, it is important to contribute to the community if you want anything (like followers and sales) in return. Brands build relationships with current and potential customers through an experience that is meaningful and authentic. Instagram messages is the perfect place to build this relationship. If someone tags you in a story, or in a post, send them a thank you direct message. When one of your followers posts something they are passionate about in their story, send them a message and show them you care. Users are more likely to support your brand if you support them. If you can do this, your “community” will become stronger. Find and reach out to brand ambassadors! Brand ambassadors (Instagram influencers) are also a great way to grow your online community. Instagram influencers can help humanize your brand, expand your reach and increase your overall online presence. 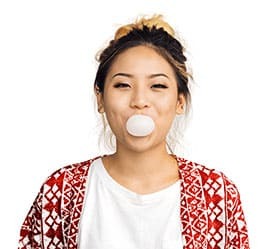 Once you have decided which brand ambassadors to reach out to, you can use Instagram messages to connect and reach out. Instagram messages gives your brand the opportunity to connect with customers in a unique, private way. You can send a message about an upcoming sale, or send an update about a recent event. If you have an exclusive new product, or a list of people who have pre-ordered a new product, you can send a direct message to a group of people who might want to see a sneak-peek or product update. When you decide to use this as one of your marketing tactics, be sure to inform your fans what exclusive information they can and can’t share. There are several ways to use Instagram Direct Messages to run a contest. Contests are getting more and more popular on Instagram, which is why it is important to understand how to use this tool. Ask people to send you a message to enter a contest- You can post a contest on your feed, or in a story and ask users to message you to enter. Post a photo and ask for the first X amount of people to message you. If you ask the first X amount of people to message you, you can then provide them with a coupon code for their free product or discount. Since you have worked to build up your community on Instagram, you can use Instagram to generate actual leads. If you have a product that you know one of your followers is interested in, you can reach out with an exclusive code for them. You can also introduce your followers to other hashtags and accounts they might like, and nurture this lead until they eventually convert. Since you’re looking for ways to improve your brand on Instagram, you probably already know about the power of social proof. This is why it is so important to constantly build up your list of real customer reviews. You’d be surprised at how many customers are delighted to write reviews about your product or service. All you have to do is ask, and Instagram Messages is a great place to ask for these reviews. Instagram direct messages are a great place to connect with new and potential followers. Instagram messages are free, and easy to use. The best part is, you can get started today! Have you tried any of these tactics? If you have, comment below, we would love to hear about how Instagram messages is working for you!